Ultimate Slow Cooker Beef Stew is a hearty dish packed with chunks of tender meat, potatoes, and veggies. It is comfort food at its best where the crockpot does all the magic! 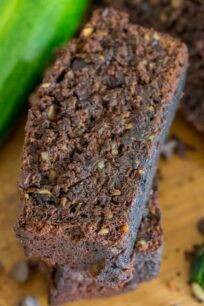 The beauty of this recipe is its convenience and easy to prepare. 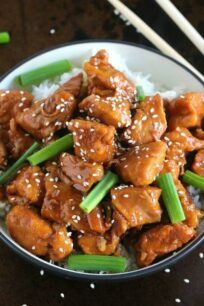 It is the perfect dish to make even during busy weekdays. Simply, brown the beef for a few minutes in the morning, then add the veggies to it and let it slowly cook. When you come home, you have the most delicious stew packed with melt in your mouth meat and veggies. We like to enjoy this meal as is, with a French baguette on the side. Like our popular Cheeseburger Soup or Chicken Noodle Soup, this dish is perfect for any day of the week. 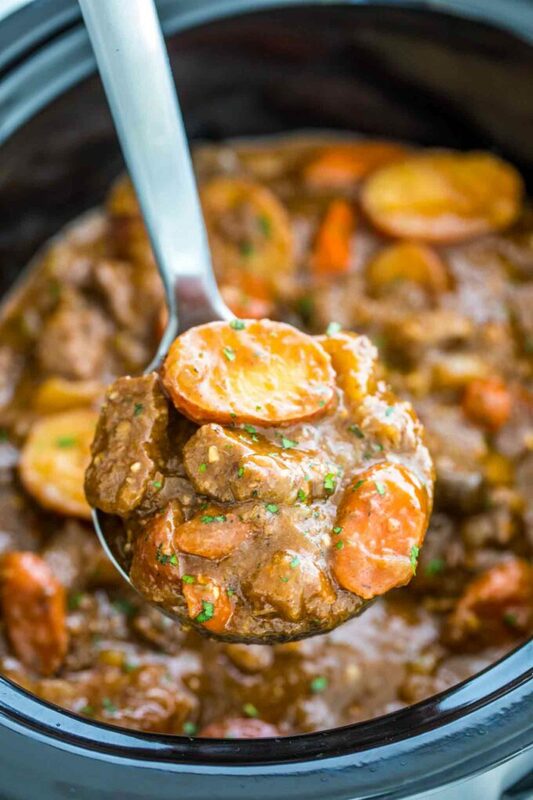 Slow Cooker Beef Stew is what we crave during cold days. 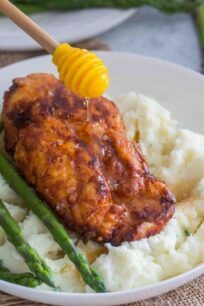 Since this dish is so easy to prepare we go back to it again and again. Slow Cooking allows time for the beef to get extra tender which literally melts in your mouth. Another benefit of making it in the crockpot is that it gives plenty of time for the veggie and meat flavors to come together, resulting in a rich and hearty stew. Simply, set it in the morning, go about your day, then come home to a warm and delicious meal. It does not get any better than this! If you want to reduce some carbs, skip the potatoes. It will still taste amazingly hearty and delicious. In addition, the dish freezes well, and you can make plenty ahead and simply use resealable bags for later use. It is such a rich and full meal that we hardly serve it with something other than a side of bread or baguette. Between the meat, potatoes, and veggies you have a full and easy dinner to enjoy during colder weather. 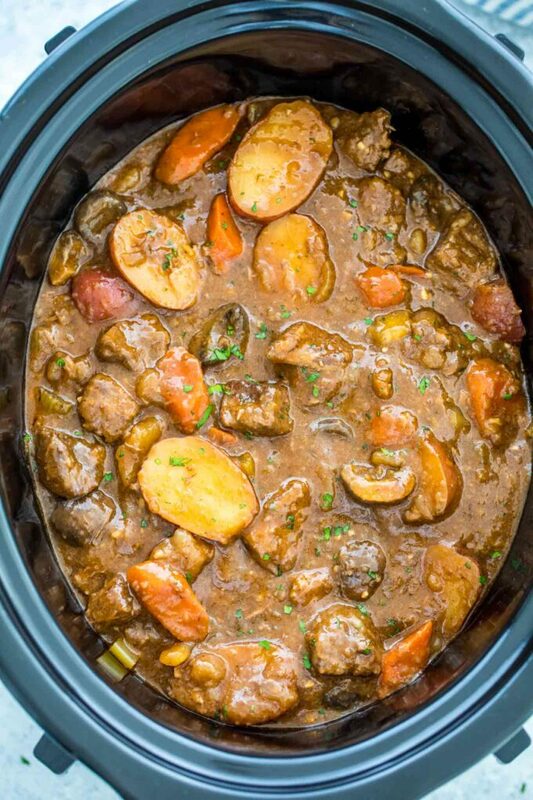 How to make Slow Cooker Beef Stew? To make this homemade recipe, you will need first and foremost beef meat. We usually go with chuck roast as it works best here and the flavors and aromas are amazing. However, you can use other beef cuts, such as stew meat, chuck steak, etc. Then, you want to prepare and chop up all the vegetables. We use mini red potatoes cut in half, but any types work just as fine. We do take the extra step of browning the meat prior to cooking in the crockpot. While this step will take a few extra minutes, the result is well worth it. Browning the meat adds so much extra flavor and tenderness to it. Similarly, if you have some extra minutes, you could sauté the onions and garlic before adding them to the slow cooker. It will add a nice flavor to it. Once the above steps are completed, the only thing left is to place everything in the crockpot and add the liquid to it. You can pour the broth and some wine over it, or you can use the same pan you cooked the beef and deglaze it with some broth and red wine. Bring it to a simmer, and pour it into the pot. Finally, cover the lid and cook for 7 to 8 hours on LOW, or for about 4-5 hours on HIGH. This homemade stew is great during colder times of the year. It stores well, and it tastes even better the next day. Enjoy it warm for lunch or dinner! How to make Beef Stew on the stove? Making in on the stove is pretty simple. You pretty much follow the same steps above, just the cooking time will differ. Usually, on the stove, we cook it for about 2.5 hours. For full step by step stove version of it, please follow this link. CAN YOU MAKE BEEF STEW IN THE INSTANT POT? 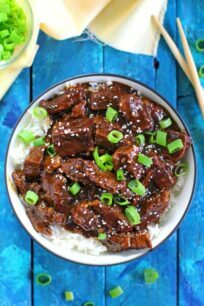 This meal is a great candidate to make in the Instant Pot. 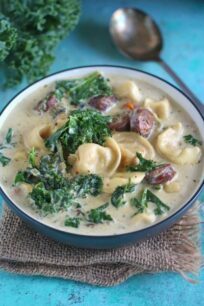 If you are short on time and want a quick and delicious meal, the Instant Pot version of it is right for you. We already have the Pressure Cooker version, and you can check it out here. CAN YOU MAKE Slow Cooker Beef Stew AHEAD OF TIME? Absolutely. This dish can easily be stored and reheated later. In fact, it will taste better the next day, because the flavors and aromas will absorb better as they stay, resulting in a richer taste. 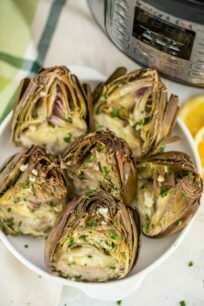 Make it 1-2 days in advance and simply refrigerate it in an airtight container. Before serving, reheat it in the stovetop or microwave until warm. HOW TO FREEZE Slow Cooker Beef Stew? If freezing cooked stew, we recommend not adding the slurry/thickener because it may separate on thawing. 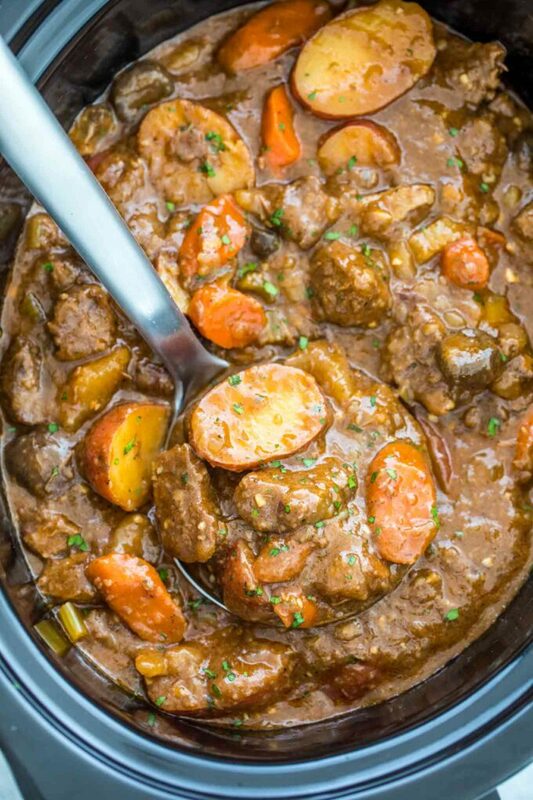 To freeze uncooked beef stew, put all the prepared (chopped) ingredients in a large freezer bag or an airtight container and place in the freezer. When ready to serve, simply thaw the ingredients add to the crockpot with some broth and cook as instructed above. To freeze cooked beef stew, make sure it is completely cooled down prior to freezing. Once cooled, transfer it to large freezer bags or airtight containers and place in the freezer for up to 3 months. You can also use a smaller (individual size) freezer bag. This way you can reheat single portions when needed. As stated above, try not to skip the part where you brown the meat. It will make a huge difference in taste and texture. Brown for about 5 min on each side. Also, when browning it, it’s best to cut it into 2-3 inch sizes, and brown on both sides for 3-4 minutes. You can add your favorite veggies into the crockpot and substitute with some from the recipe. Also, bacon can be added if desired. Simply, chop some up, brown it, and throw into the dish. To reduce the carb intake, skip the potatoes. Wine can be skipped. However, using wine helps develop richer and more complex flavors in this dish. Similarly, other meats can be used here. Just replace it with your preferred meats, such as pork, lamb, or chicken. This homemade stew is a hearty dish packed with chunks of tender meat, potatoes, and veggies. #beefstew #stew #beefrecipes #sweetandsavorymeals #easyrecipe #slowcooker #crockpotis a hearty dish packed with chunks of tender meat, potatoes, and veggies. 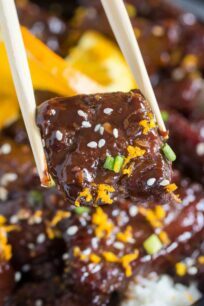 Place beef chunks into a large bowl, sprinkle with flour, salt, and black pepper. Use kitchen tongs to toss and coat the beef in flour. Place a non-stick skillet, over medium-high heat and add 2 tablespoons of oil. Once the oil is hot, add the beef into one layer, work in batches if needed. Brown, on all sides, for about 5 minutes per batch. Once done cooking, transfer it to the slow cooker. Reduce the heat to medium and add the butter, once melted add onion and garlic and cook for 1-2 minutes. Add the wine to deglaze the skillet. Transfer the mixture to the slow cooker on top of the meat. Add Worcestershire sauce and tomato paste. Add carrots, celery, potatoes, and mushrooms (if using). Pour beef broth on top. Add bay leaves, thyme, and rosemary. Season with salt and pepper. If you prefer the stew to be thicker, either mash some if the potatoes or add the cornstarch mix. Mix cornstarch and water in a small bowl until fully combined. Add the mixture to the pot during the last 30 minutes of cooking. 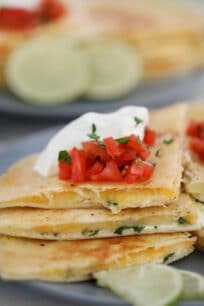 One of my favorite comfort foods! Great for the cold winter days! I love having the smell of beef stew in my house all day while it’s cooking. 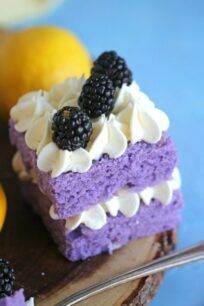 Looks delicious, can’t wait to try it! Comfort food dinner for the win! The whole family will love this! Oh my, this beef stew sounds ahhmaaazing!! A must make!! Comfort in a bowl!! Love that this is made in the slow cooker…so easy!